Making Life a Little Better. We are seeking a highly motivated person who love patient care. Job Duties: Performs Urodynamics, voiding profiles, Dexas, Cysto’s, Vas, Interstim, Thermatrix, Urolift, PTNS, PFT procedures and other procedures. Assists Provider in patient care. Administers shots and obtains vitals. 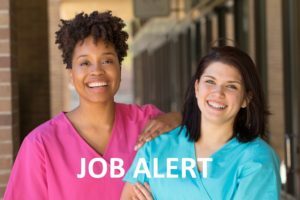 Minimum Requirements: LPNs, MAs and Surgical Techs . One year or more of medical experience required. Certification/License required. Benefits: Hours worked are Monday – Thursday 8:30 AM to 5:30 PM, Friday 8:30 AM to 4:30 PM. Medical, Dental, Vision, Life Insurance, Short-term Disability, Pension Plan, PTO (Paid Time Off) and EIB (Extended Illness Bank). Proper use of ordering procedures per Medicare compliance and billing guidelines and requirements. Responsible for specialized nursing tasks as delegated in designated areas such as assisting with exams and procedures, cleaning and maintenance of equipment, etc. Provide assistance to clinic with tasks such as medications, catheters, BCG, etc. Maintains clean environment and well stocked patient care rooms. Anticipates patient needs and expectations. Explains procedures to patients prior to the start of the exam. Provides patient instruction as needed. Acts as back up as needed for procedures/quality controls. Maintains current training for all back up responsibilities. Adequately collects and records patient data such as vital signs, weight, current medications, allergies, etc. Adequately administers and documents mediations, IM, SQ, PO. Demonstrates appropriate infection controls and the proper use of personal protective equipment. May be responsible for quality control with TOSOH Labs.